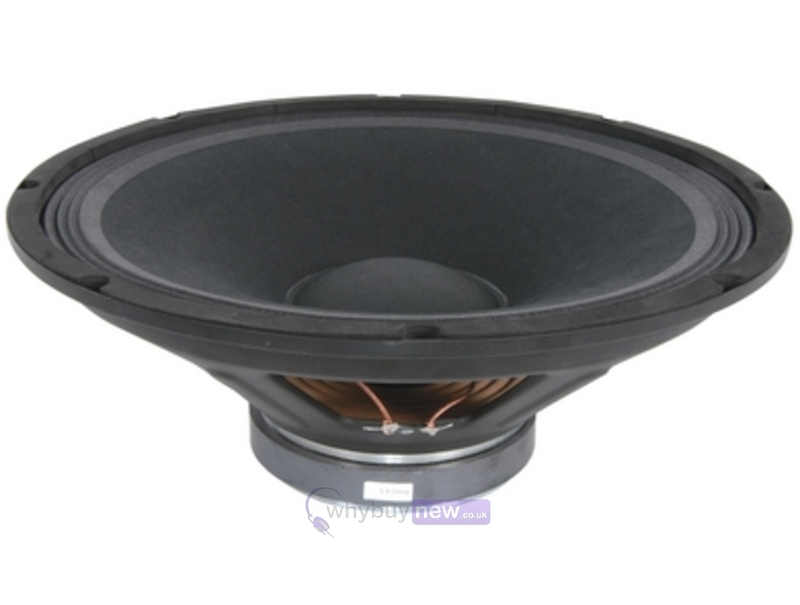 Replacement 700w 15" Bass Speaker Driver Cone. very pleased with this speaker,sounds good and excellent price and quick delivery. 350Wrms, 700Wpeak 15" speaker - this has a nice high frequency range typically an octave beyond other 15" drivers. It has high efficiency at 101dB/W/m meaning it is either louder for a given amplifier power, or one needs less amplifier power to make it loud enough. It is also light for a ceramic magnet and the price is competetive. good quality speaker, fast delivery Thx. used this bad boy for a replacement for an RCF art 315 speaker,,,the opriginal was 5 x the price ,,,,gotta tell you that this sounds better ,louder ,and thicker than the original ,,with a lot more bass, but you could just turn a little out if you ever need to ,,the mid is perfect for vocals and the tops are obviously just as sharp as it uses the same titaniun dome in the cabinet ,,,i love it ,,,thing is ,,,gotta buy another to beef up the other side ,,totally 5 stars,,,and 5 stars for the team at whybuynew for putting me onto this jem of a driver ,,,,you wont be dissapointed with this boy ,,,just buy it ,!! ?? ?